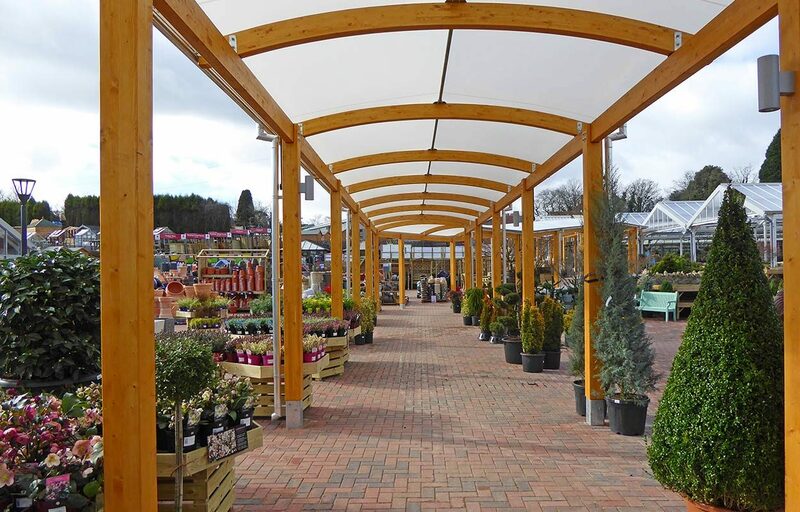 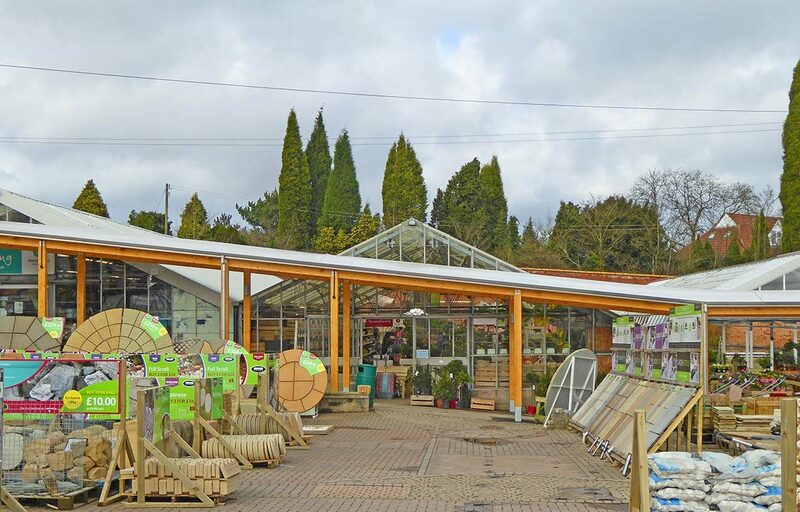 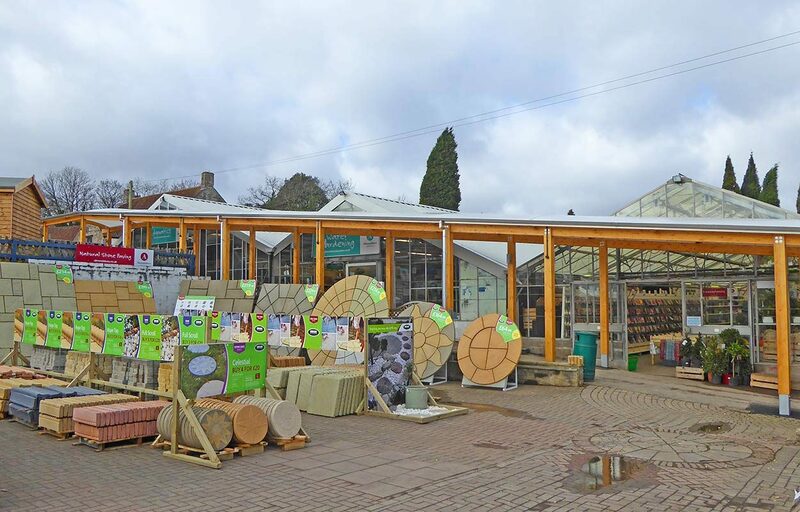 Almondsbury Garden Centre recently improved their external sales space with the addition of a large walkway installed by specialist design and build contractors Fordingbridge. 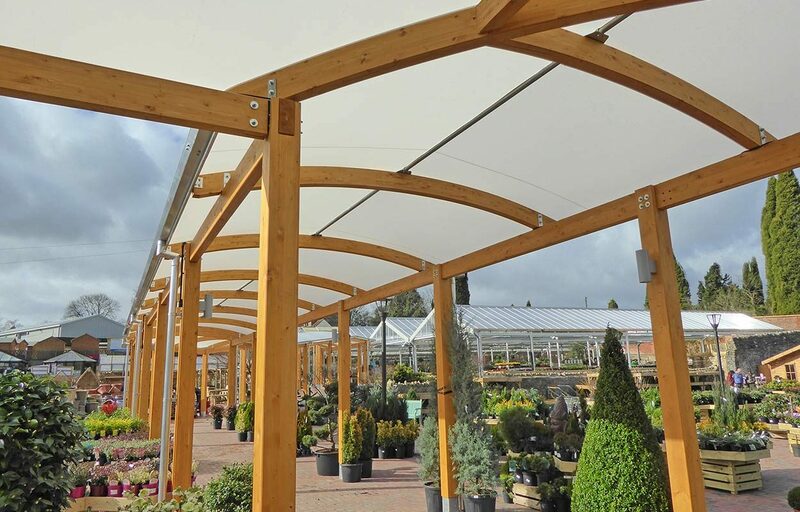 The brief was to provide a structure, with wow factor that had to maximise the potential from the multi-level site. 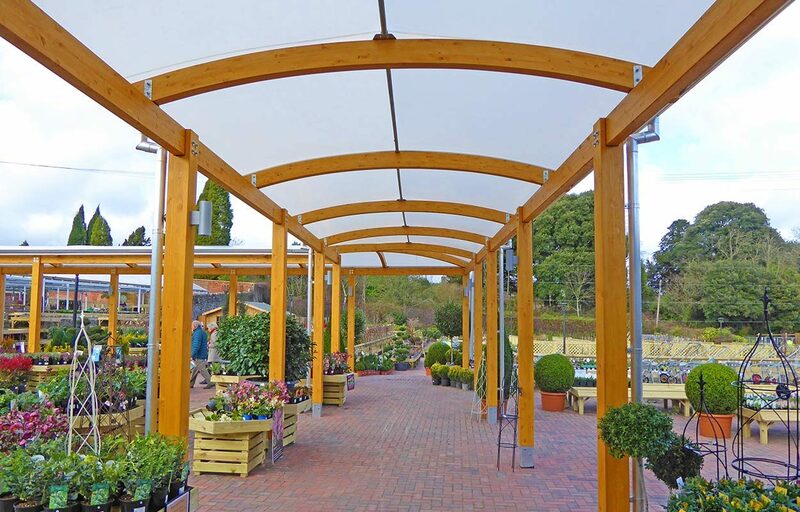 Covering 102 linear meters with a span of 3.7m, the barrel-vaulted walkway at Almondsbury, was covered using Opal 60 Fabric. 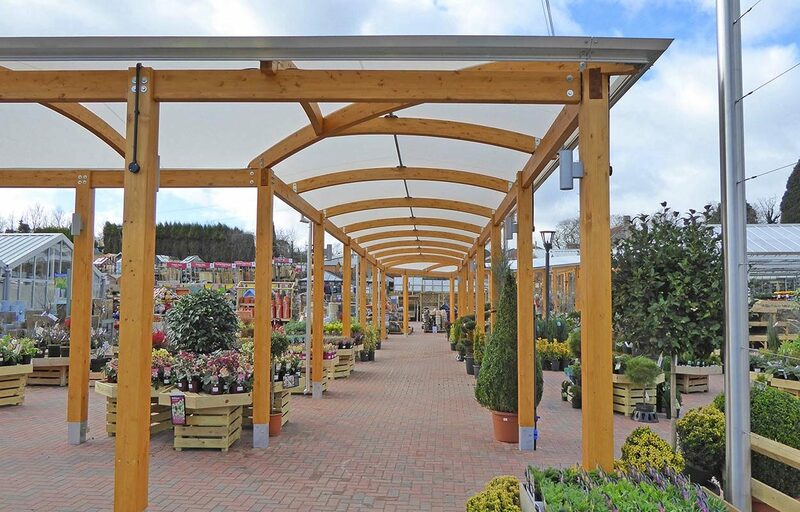 Exclusively developed for Fordingbridge in response to customer requests for a canopy fabric that is both UV stable and fire retardant whilst allowing 60% light transmission.